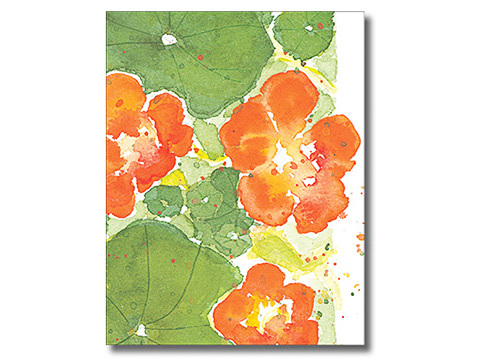 Boxed sets of tea themed note cards, thank you note sets, notepads and self-stick notes. 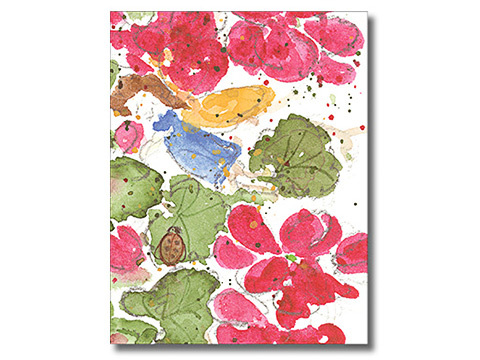 Watercolor listpad by artist Peg Conley. 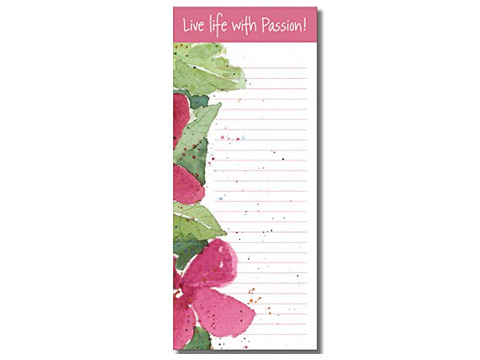 Magnetic hanger on back. 8 1/2 x 3 1/2 inches. 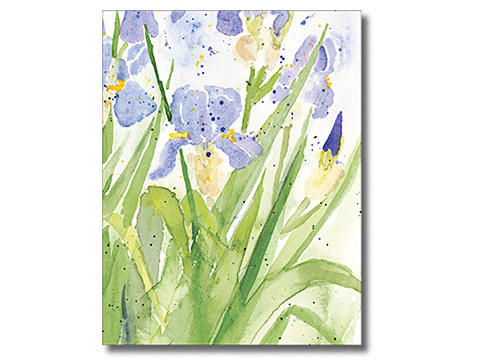 Watercolor cards by artist Peg Conley. 8 folded cards and white envelopes. 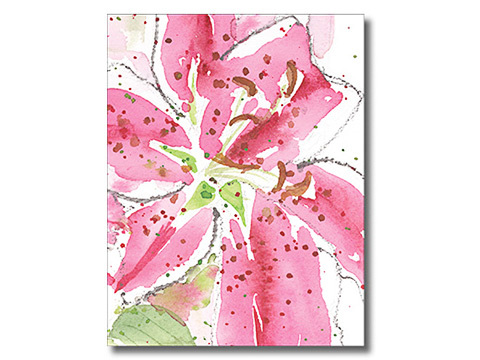 6 x 4 1/2 inches. Blank Inside. Bear and Me, dressed for Tea! 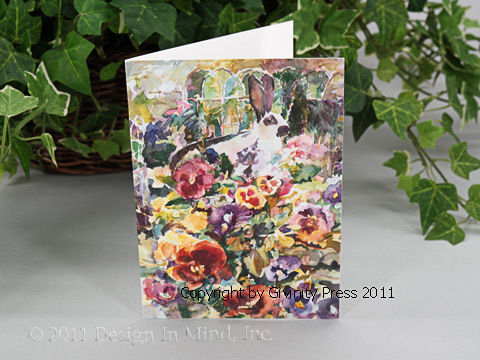 Watercolor cards by artist & author Ellen Jean Diederich. 8 folded cards and 9 white envelopes. 6 1/4 x 4 1/2 inches. Blank Inside. 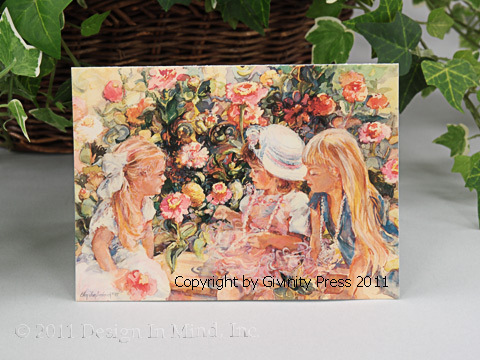 Watercolor garden girls cards by artist & author Ellen Jean Diederich. 8 folded cards and 9 white envelopes. 6 1/4 x 4 1/2 inches. Blank Inside. There's a rabbit in the garden, ready to munch! 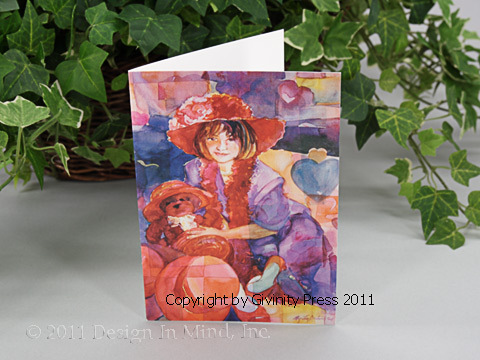 Watercolor cards by artist & author Ellen Jean Diederich. 8 folded cards and 9 white envelopes. 6 1/4 x 4 1/2 inches. Blank Inside.